Good morning, Muffin readers! Today, we'll be talking with Ann Swann from Odessa, Texas. Her story, Justice Unleashed, earned runner-up honors in the WOW! Women on Writing Flash Fiction contest held last summer. If you haven't had the opportunity to check out Ann's crafty piece, you'll definitely want to read it here. Then come back and join us for a discussion about writing flash fiction, finding inspiration, and building an author's website. First, Ann would like to share some background information. This wife, mother, and grandmother turned to writing full-time after teaching elementary school. 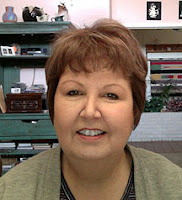 Ann is a member of the Abilene Writer's Guild and has published several short stories in literary magazines and anthologies. Her first Young Adult novella was published in December 2011 by Cool Well Press. And, Ann will have two short stories coming out in 2012 in the anthology Campfire Tales, also published by Cool Well Press. WOW: Welcome to The Muffin, Ann. Also, congratulations for earning runner up honors in our quarterly Flash Fiction contest! So exciting! :) I'm just going to jump in and talk about one of the primary draws of a story - the title. Sometimes, coming up with the perfect title can be difficult. So many questions to consider: Should it foreshadow the storyline? Should it give away the theme? Talk about "Justice Unleashed" and how you came up with it. Ann: I think the title to a story is like the key to a doorway. If it doesn't fit, the reader might not be able to get inside the story. Titles should be just a little enigmatic as well. My title, Justice Unleashed, refers to the fact that the creature doling out the justice happens to be a dog. Unleashed gives the idea that he was out of control But one must read the story to decide if old Joe was out of control or if he was a hero. WOW: Perfect! I agree that the reader will have to decide if Joe was out of control or a hero. And that leads to the second story element that is so important in flash fiction - the twist. Your story has two unique twists. How important is it to snag the reader and then hit us with that powerful turn of events? Ann: For me, the plot twist is extremely important. I'm one of those people who get bored easily. Plot twists keep the reader guessing, and reading. Besides, who wants to be hit over the head with the obvious? WOW: I know I don't want to be hit with the obvious! I think the plot twists is one element a lot of flash writers forget about including, and it is an integral part of storytelling. Writing is such an individual art form yet we share our work with others. What inspires you to keep writing? Ann: Everything seems to inspire me in some way. That sounds silly, but one of my newest short stories came about because I couldn't get soap from an automatic soap dispenser in a restaurant bathroom. That story, The Soul Gardener, will be published in an anthology Timeless, in 2012 through Cool Well Press. WOW: Cool! I know you have a Young Adult novella being published. Would you share your road to publication? Bumpy ride or smooth sailing? Ann: Yes! My YA novella is an old-fashioned ghost story, The Phantom Pilot. If I were a songwriter, I would title my publication song "The Long and Winding Bumpy Ragged Road." That's a mash-up of The Beatle's song and a song by Reckless Kelly. And though it has been a long road, it's been a joyous one. I developed elephant hide years ago, so the sting of rejections never penetrated after the first few. Along the way, I joined every writer's group and writing class I came across. I also entered as many contests as possible (thank you so much to WOW!) But it was when my editor, Denise Vitola, a wonderful author, by the way, presented a workshop to my writer's group, The Abilene Writer's Guild, that I finally got published without benefit of a contest. When she put out the call for submissions to Cool Well Press, I jumped on board. Now, I have the novella in publication, as well as three short stories in upcoming anthologies. I also have an adult novel making the rounds of agents as we speak. WOW: Sounds like a long, yet successful, journey! Good luck as you search for an agent. It's so important for authors to build a relationship with potential readers, and a website is one way for that to happen. You have a new website. What's been the biggest challenge with starting your site? Ann: I am so TC . . . technologically challenged. I struggle with it daily, technology is the lion and I'm the novice trainer with a wimpy chair and no whip. That said, I've also started a blog and I've become a Twit. Okay, I was always a twit, but now I actually tweet things out into the ether - not always wisely, I might add. I am slowly making connections, I think. Can you tell I love a challenge? WOW: I can! And so do I. One way I challenge myself is to make a list of writing resolutions for the year. I also break my list down into monthly tasks. What's one of your 2012 writing resolutions and how do you plan to stick to it? Ann: Oh, I'm so easily distracted by all this technology that I resolve to write something every day that isn't limited to 140 characters or prefaced by @. I plan to stick to it by unplugging my computer, deleting Words With Friends from my iPhone and writing strictly on yellow legal tablets. WOW: Good luck meeting your goals! What projects are you currently working on? Ann: Right now, I am working on a sequel to The Phantom Pilot called The Phantom in the Schoolhouse. I love the characters of Stevie and Jase, and they have a new friend named Derol Pavey who really needs their help. I'm also working on a YA dystopian short story, "Ban Dare," for a future anthology. And if I get bored with those two, there's always that file in my computer called IDEAS. But wait, I would have to plug the Mac back in to go there. Better not do that . . . too distracting! WOW: (chuckles) I'm not sure I could unplug from technology, but I wish you well with your writing endeavors, and again, congratulations on being a finalist in our contest. Interview conducted by LuAnn Schindler. Read more of LuAnn's work at her website. For more information about the WOW! Flash Fiction contest, check out the contest page.